1.How It Got Here. 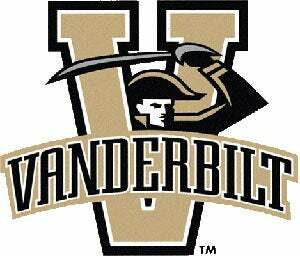 Founded in 1873, Vanderbilt University was originally to be known as Central University in Nashville, on the hope that founding a university in Graceland could heal the sectional wounds inflicted by the Civil War. It was renamed Vanderbilt, however, after Cornelius Vanderbilt abandoned his original two plans to erect an enormous statue of himself, or to build a university in Staten Island named after his mother. Instead, the Commodore chose Plan C, and donated to found a school in Tennessee that he would never visit. The tradition of Gilded Age aristocracy is apparent in many aspects of modern campus life, ranging from the students wearing jackets and ties to football games, to not observing Labor Day due to the Commodore's disdain for the working class, to denying a living wage to school employees, causing a labor uprising on campus and raising the ire of John Edwards and Sergeant Roger Murtagh. 2. Travelin' Man. Speaking of aristocrats, Vanderbilt is headed by Gordon Gee, who can best be described as the Larry Brown of university presidents. Gee has the steward of an amazing five universities: Colorado, West Virginia, Ohio State, Brown and now Vanderbilt. Gee's signature move has been, somewhat oddly, spending lavish sums of money on building or revamping the president's residence at all universities, spending over $10 million in total on repeatedly giving him an acceptable place to call home. However, given that Gee's wife Constance reportedly smokes pot at the president's quarters (until filing for divorce last week), perhaps the constant renovations and moving may be necessary to clean the residue. Gee has also come under criticism for throwing extravagant parties, cronyism in the board of directors, taking a lavish salary and eliminating the athletic department to put Vanderbilt's athletics under the umbrella of student affairs. The moral? Beware of presidents in bow ties.